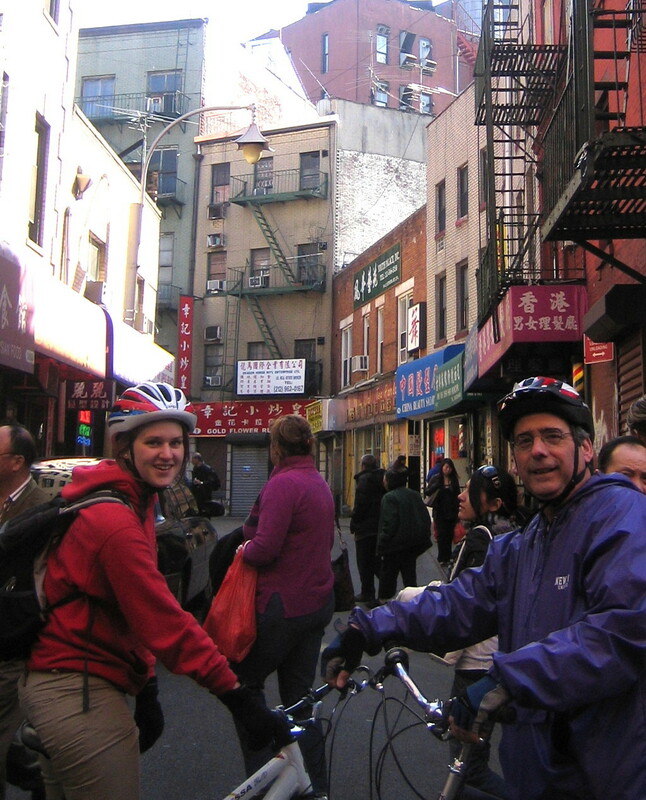 See the city at its most peaceful and luminous on this evening bike tour of the Village and Lower Manhattan! 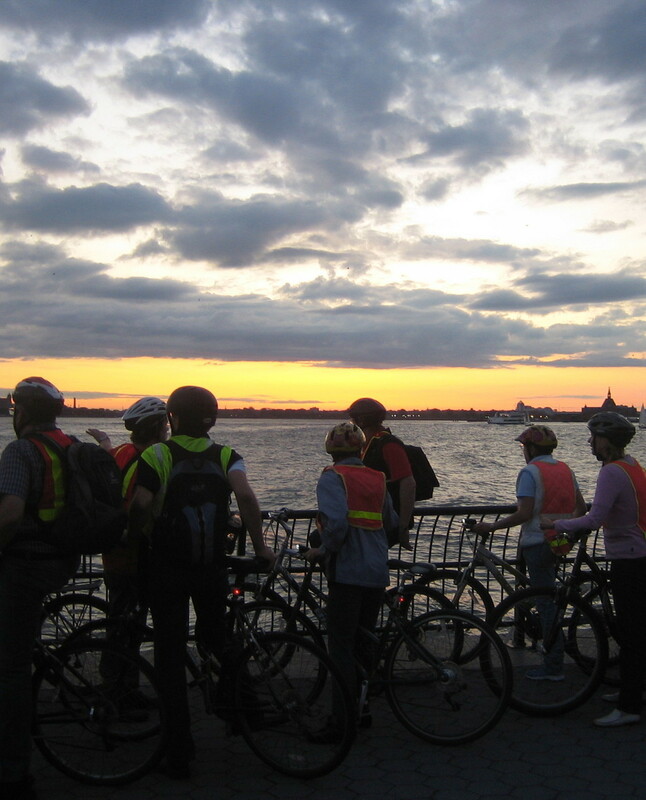 This evening bike tour is a unique opportunity to see the city glimmer at twilight. 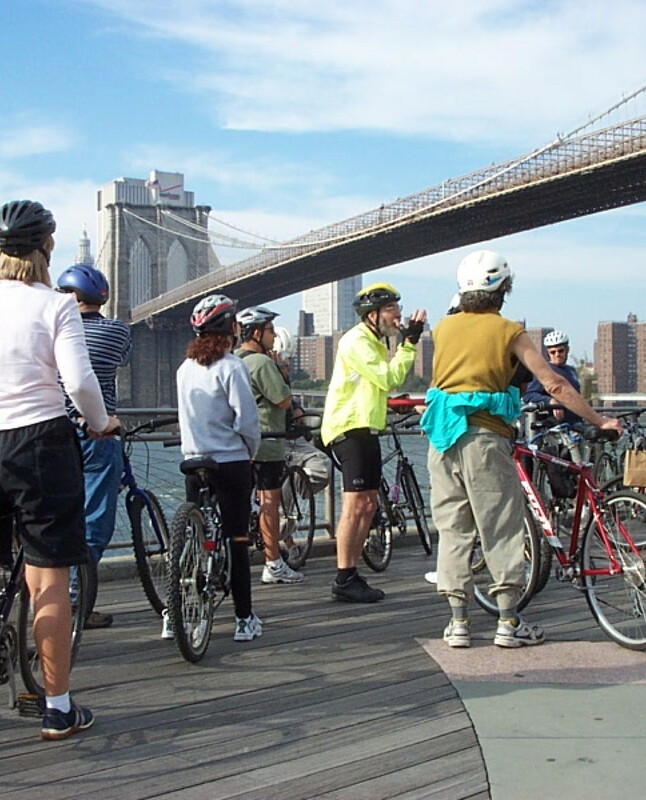 And Sunday evening is an ideal time to pedal around Lower Manhattan as there is considerably less street traffic. 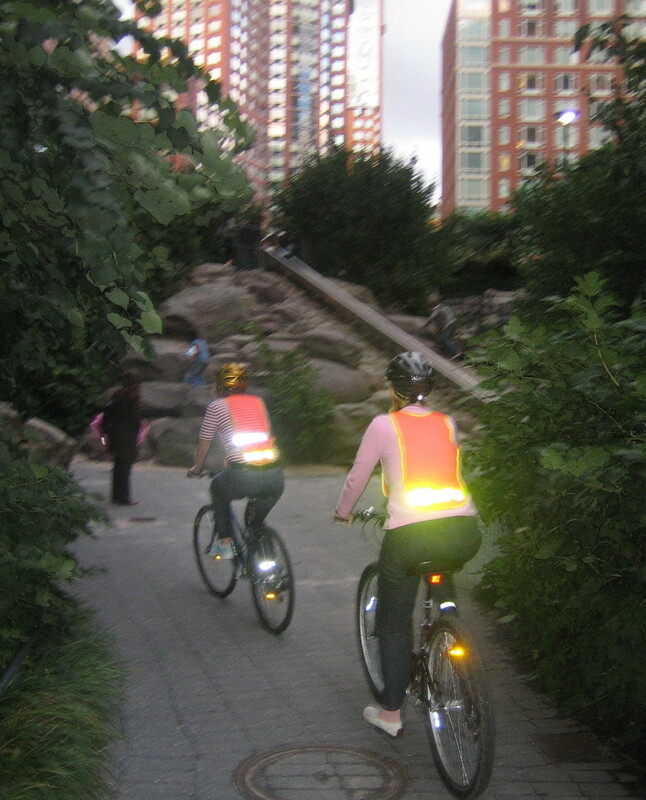 While it is still daylight, we pedal through the historic and charming West Village. Here, we’ll see the birthplace of the modern gay rights movement, learn the fascinating story behind its inception, and have a photo op at a powerful sculpture by the renowned George Segal. 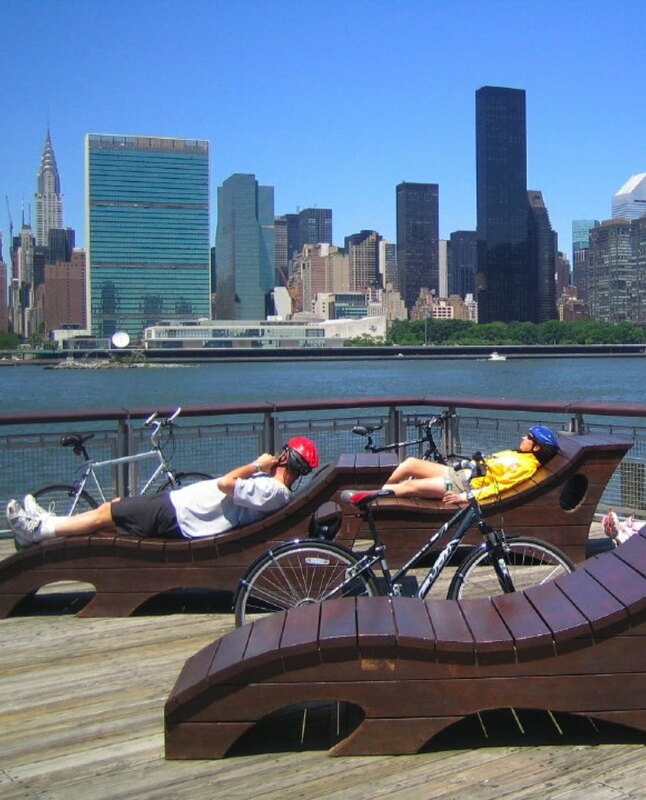 From there we’ll cycle along the Hudson River Greenway, a bike path with magnificent views of the New York Harbor. We also pass by the World Trade Center and 9/11 memorial, a monument to human despair and resilience. On a Sunday night, the Wall Street area is nearly deserted. Here, the spectacular Stock Exchange building is especially impressive at twilight, as is the fountain at City Hall Park--illuminated by a whopping forty gas lanterns! 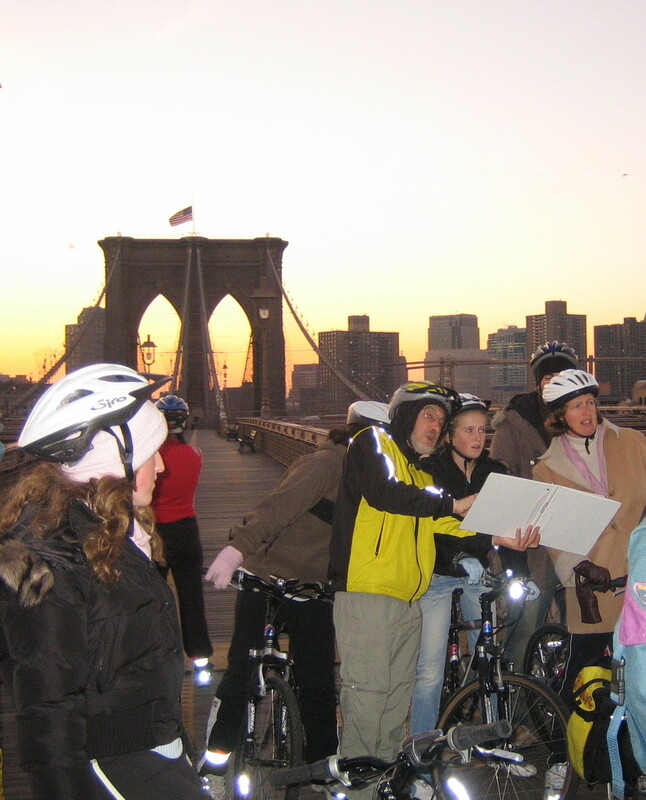 The highlight is the ride up the Brooklyn Bridge, as daylight slowly dissipates and the lights of the city emerge. 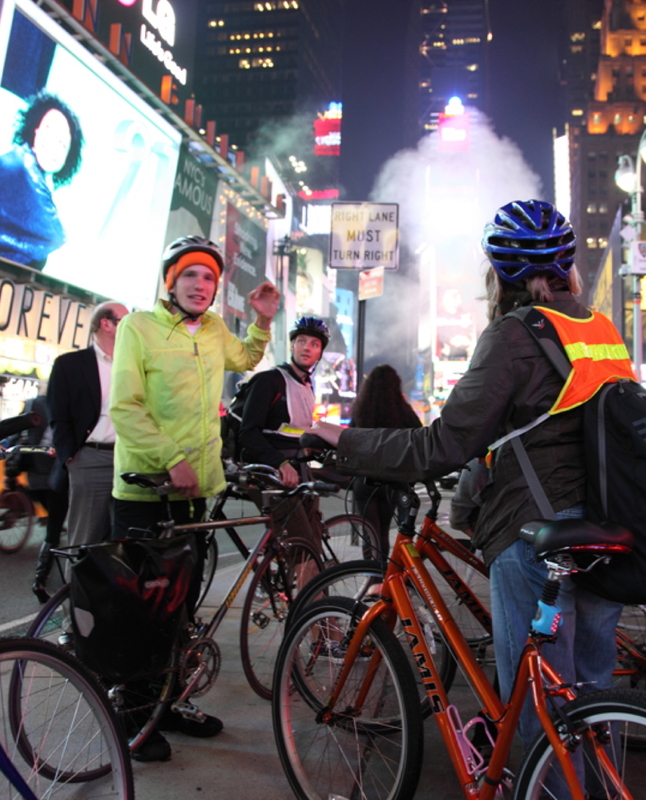 The $95 price includes bike, helmet, safety vest and lights (does not include food and drink costs). 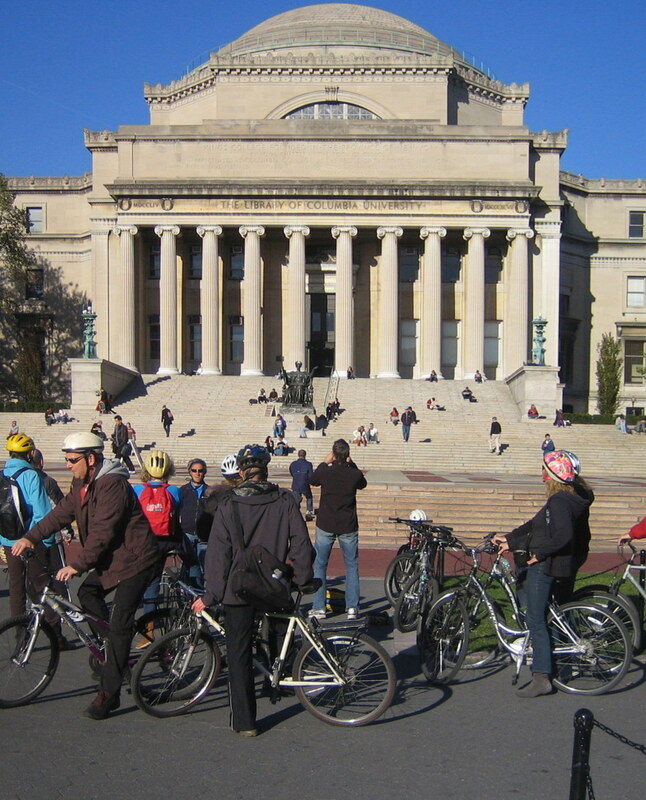 Meeting place: a few blocks from Union Square, Manhattan (exact address/directions emailed upon booking). 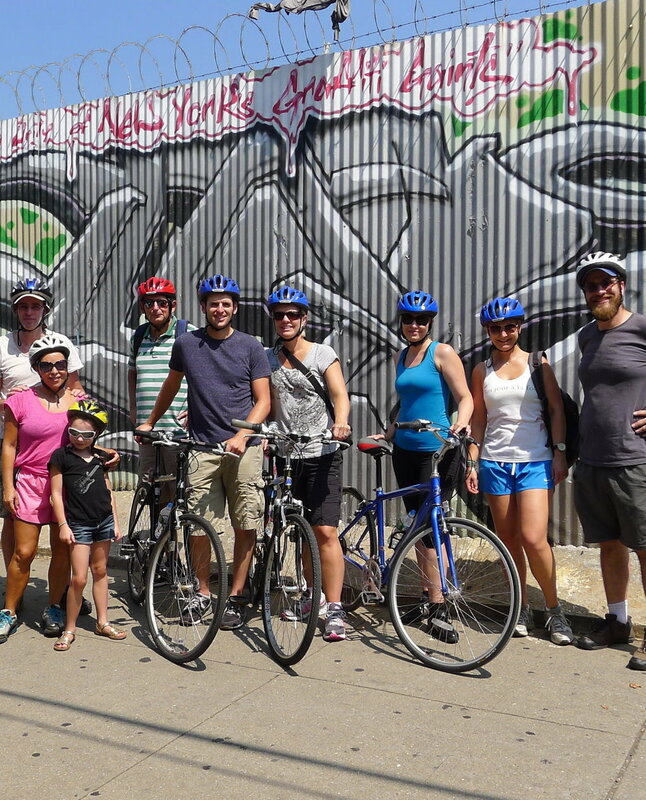 Tours never have more than a 7:1 customer/BTBA employee ratio. 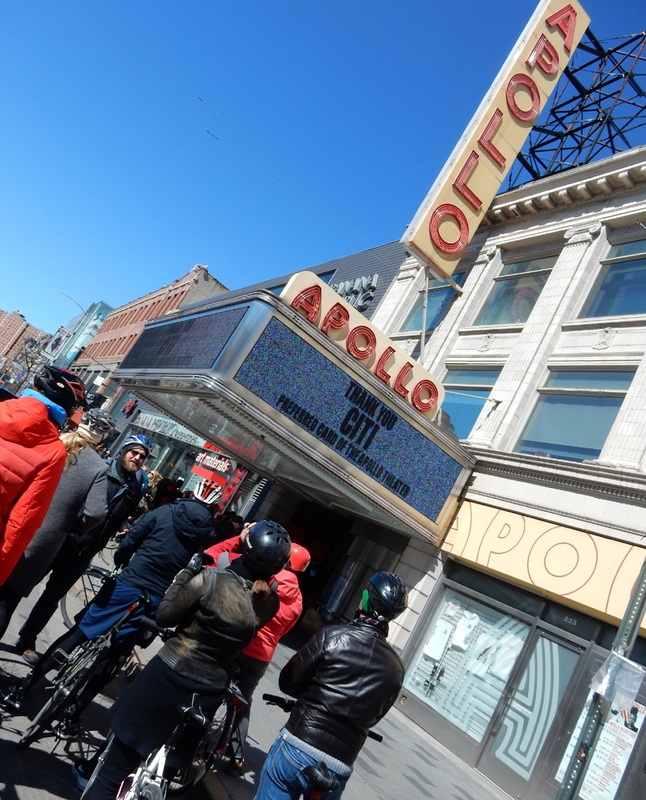 This tour is also available, by special request, as a private tour on most other days of the week.